Earrings are my most favorite things to make. Many people share this liking but few can match the incredible virtuosity of Polish designer, Paulina Kozak. 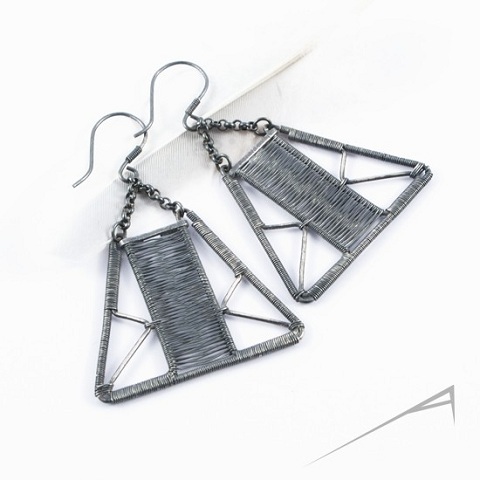 Earring designs dominate her Etsy store, Arrabeska. 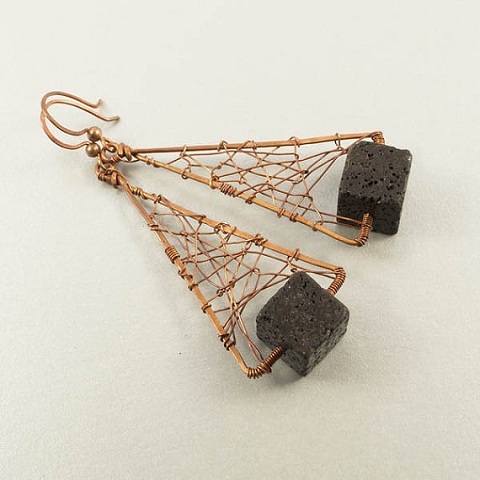 She uses a wide variety of materials including wire, wood, fabric and leather. 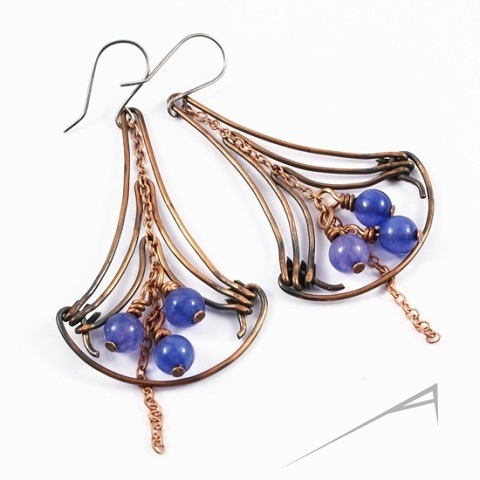 Her exquisite wire wrapped designs are particularly innovative. Some are geometric and contemporary in look. 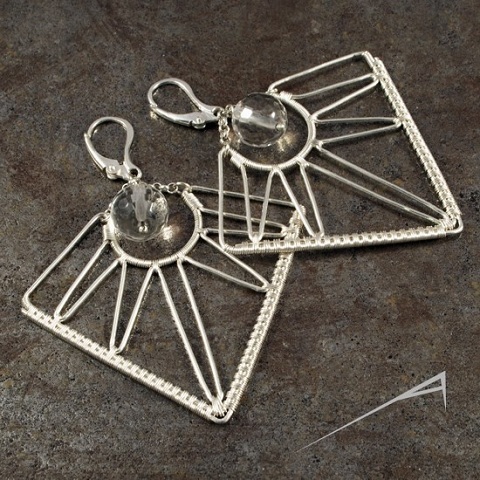 All show her flair for design and her skill in meticulous wire work. Paulina's creations are joy to see and to appreciate. Shown here are my favorites. The first design above particularly captured my attention. 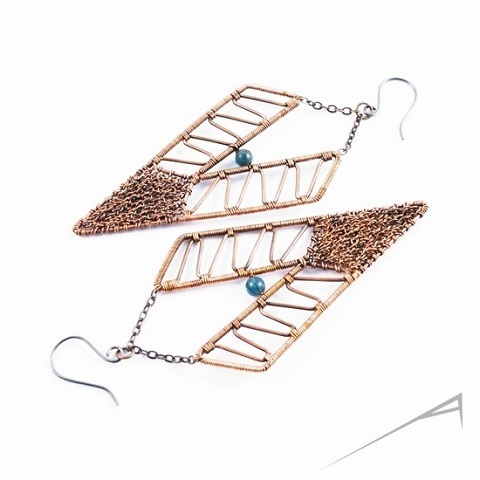 As you can see it is more than okay to mix metals! What a truly inspiring designer! Beautiful designs and such precise work. 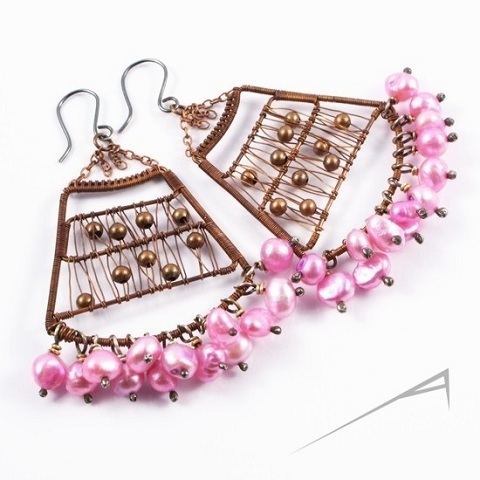 I love the earrings with the pink pearls on the bottom. 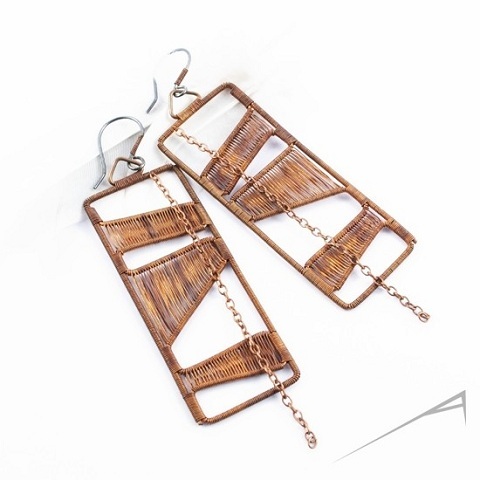 These are amazing earrings. So unique and so beautiful. I'm impressed by her wire skills as well as her design sense. Thanks for this! Meticulous is right! Those are just amazing. Great post, I love how you always find such talented peeps to feature! They are inspiring aren't they? 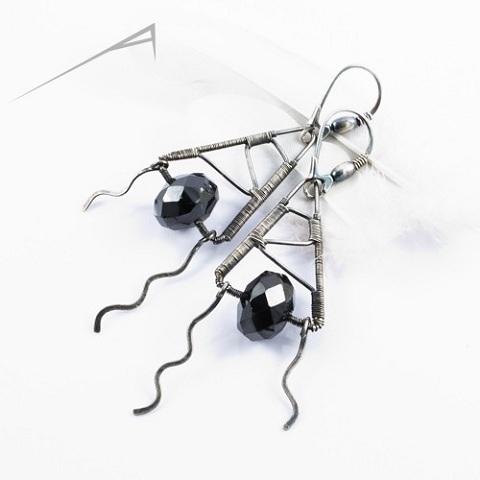 Paulina really does precision wire wrapping! These are so gorgeous and strikingly original. Thank you for discovering and showcasing talented designers on a regular basis. I love all her designs. Such a talented artist. I'm so glad you featured her in your blog!